1. Carved mahogany leaf earrings even more beautiful than the leaves falling from the trees. 2. A soft floral midi dress with fall-ready long sleeves and, to really cement its status as your new fave frock, POCKETS. 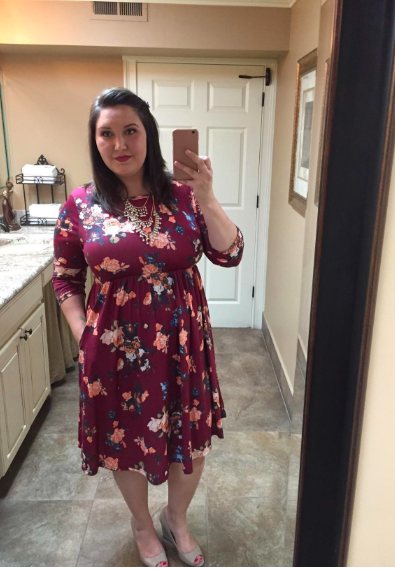 Promising review: "I was searching for a great fall dress for my trip to Vancouver and I found this one and I love it. The material is stretchy and I love the pockets. It pairs great with boots!" —Claudia V.
3. A stunning leopard coat that's enough to make even the biggest beach bums wild about fall. 4. Sleek periwinkle ankle booties with sturdy block heels made for strutting down the street. Get them from ModCloth for $79 (available in sizes 6-10). 5. A tiger-motif sweatshirt to show off your style stripes. Get it from Asos for $32 (available in sizes 12-28, or find it in straight sizes here). 6. 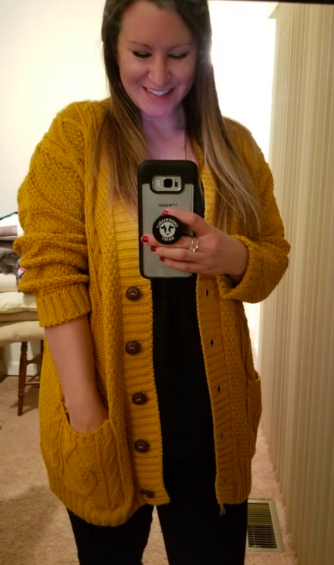 An absolutely perfect, classic oversized cardigan with an even more perfect under-$15 price tag. Get it from Amazon for $10+ (available in sizes S/M-XXL/XXXL and in 26 colors). 7. Adorable corduroy overalls that seriously put the "aww" in aww-tumnal. Get them from ModCloth for $79 (available in sizes XXS-4X). 8. 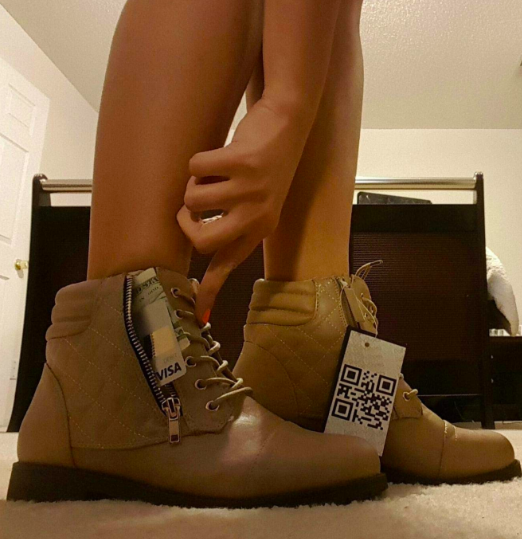 Adorable combat ankle booties with a genius secret pocket for cash and cards to show everyone you're large and in charge. Not to mention put your bulky wallet out of commission. Get them from Amazon for $20.99+ (available in sizes 5-13 and in 21 colors, prints, and materials). 9. A beautiful, drapey wrap tunic from designer Hana Tajima's collab with Uniqlo. Well, I guess that's a wrap on your search for your new fave piece. You may have heard of Hana Tajima when she designed a gorgeous line of hijabs for Uniqlo a couple years back. Get it from Uniqlo for $29.95 (available in sizes XS-XL and in two colors). Check out the rest of the awesome collection here. 10. A horse-printed blouse you won't be able to stop showing off — your friends may even have to tell you to rein it in. 11. 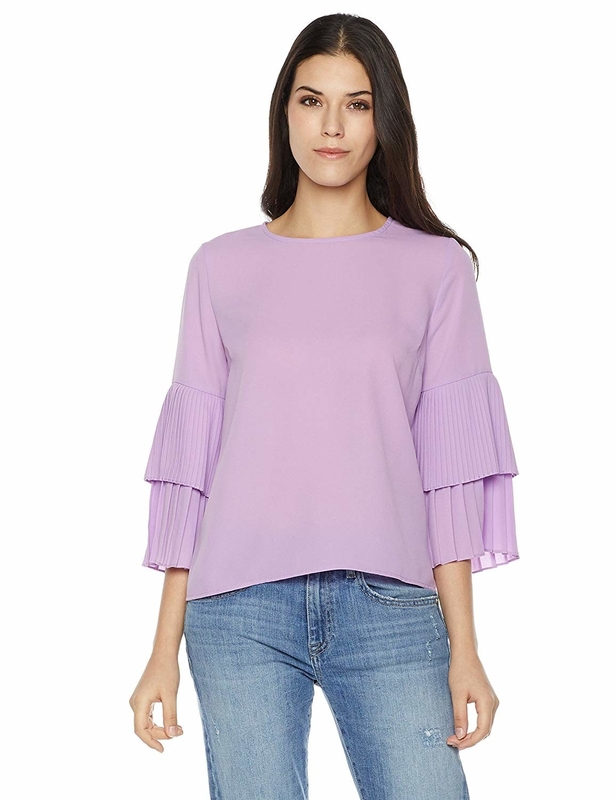 An eye-catching pleated bell sleeve top that'll instantly take your fave jeans to the next level. This item is only available for Prime members! Get it from Amazon for $29.99 (available in sizes XS-XL and in six colors and prints). 12. A dramatic robe coat for anyone who likes to make an entrance. Get it from Boohoo for $20 (available in sizes S-L). 13. 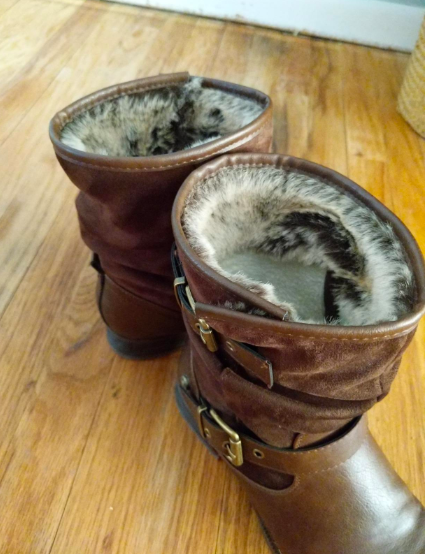 Faux-fur lined boots to help you buckle up for the chillier weather in style. Get them from Amazon for $27.99+ (available in sizes 5.5-10 and in three colors). 14. A bright moto jacket that's teal-ly stinkin' cute. Get it from Asos for $78 (available in sizes 0-12). 15. 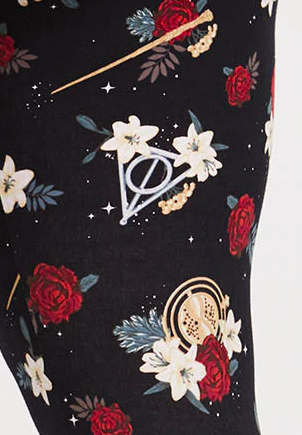 Harry Potter-themed printed leggings you can wear to catch the Hogwarts Express on September 1. 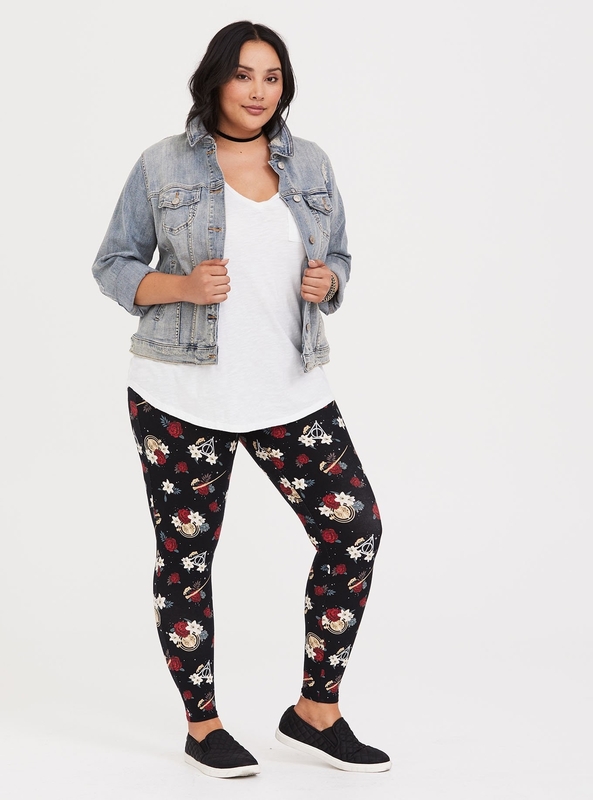 Get them from Torrid for $29.17 (available in sizes M-6X). 16. A terrific tweed vest worthy of queen Blair Waldorf herself. Get it from ModCloth for $69 (available in sizes XS-4X and in two patterns) or Jet for $69 (available in sizes XS-3X). 17. A patchwork denim jacket to help you colorblock out the end-of-summer blues. Get it from Target for $30 (available in sizes XS-XXL). 18. A Cher Horowitz-worthy pair of mules that literally made me gasp when I saw them. Pass these up? As if. 19. A breathtaking floral midi dress with a glamorously glittery trim sure to lead to some magical sequins of events. 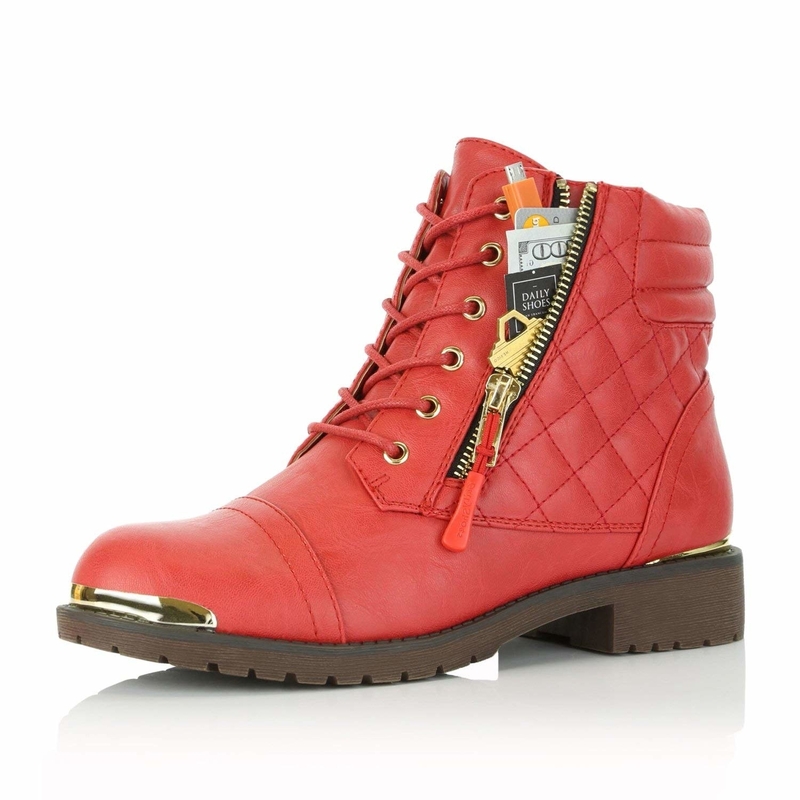 Get it from Asos for $76 (available in sizes12-28, or find it in tall sizes 0-16 here). 20. A super sleek two-tone tote bag that'll match every outfit and hold all the things. It's also got two sets of handles so you can carry it multiple ways. 21. A bold ruffled denim blouse for the chambray-ve at heart. Get it from Anthropologie for $88 (available in sizes XXS-XL). 22. A draped off-the-shoulder top that'll really bring the ~drama~ with a pair of jeans or leggings. Get it from Walmart for $15.59 (available in sizes S-2XL). 23. Vegan lace-up ankle booties perfect for when boot season starts but your summer pedicure is still looking 🔥. Get them from Free People for $80 (available in sizes 6-10 and in three colors). 24. A super versatile midi skirt that's faux leather but really chic. It's great for work with a blazer, going out with a cute top, or the weekend with a graphic tee and booties. Basically, not unlike you, this skirt can do anything. Get it from Nordstrom for $89 (available in sizes 0-16). 25. A bold cable knit sweater guaranteed to have you looking forward to the season, because the fuchsia's looking bright. Get it from Express for $50.99 (available in sizes XS-L and in three colors). 26. A funky-printed elephant scarf that no one will ever forget once they see it. Get it from Amazon for $7.99+ (available in 20 prints). 27. 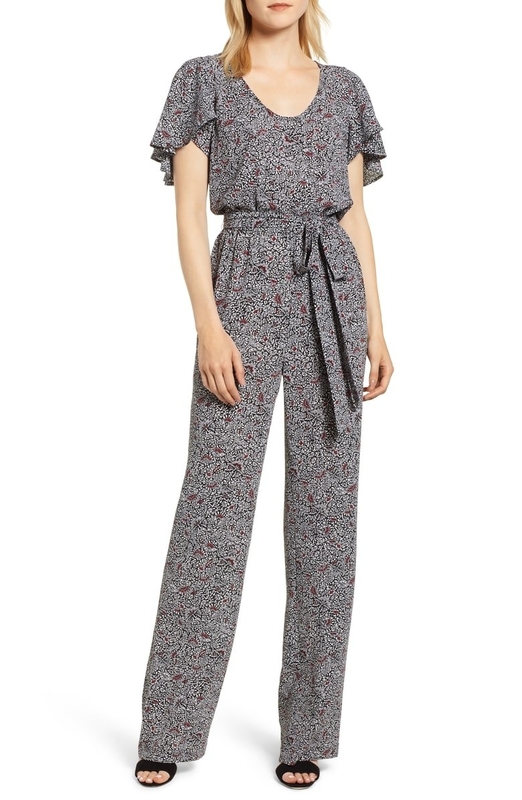 A work-appropriate printed jumpsuit to jumpstart even the dreariest of fall Mondays. 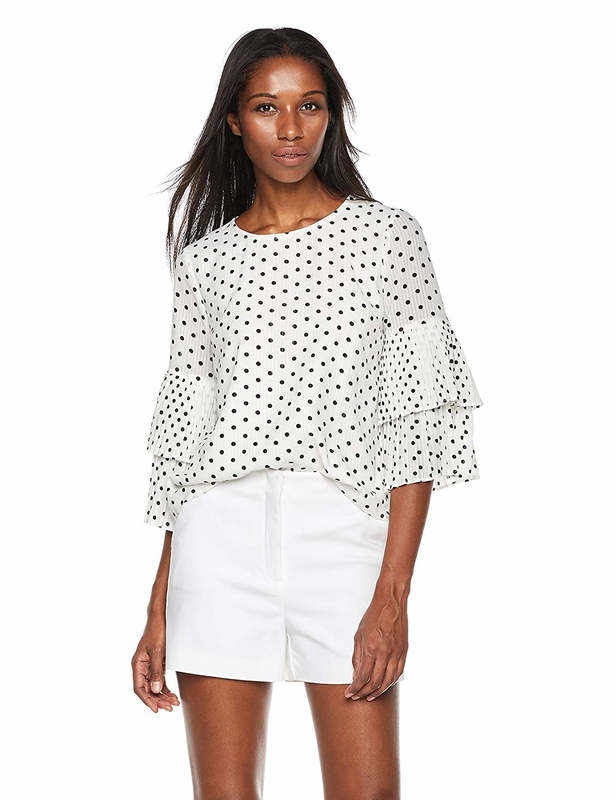 Get it from Nordstrom for $165 (available in sizes XS-XL). 28. Tuxedo stripe jeggings for a cool-as-hell update on a classic. 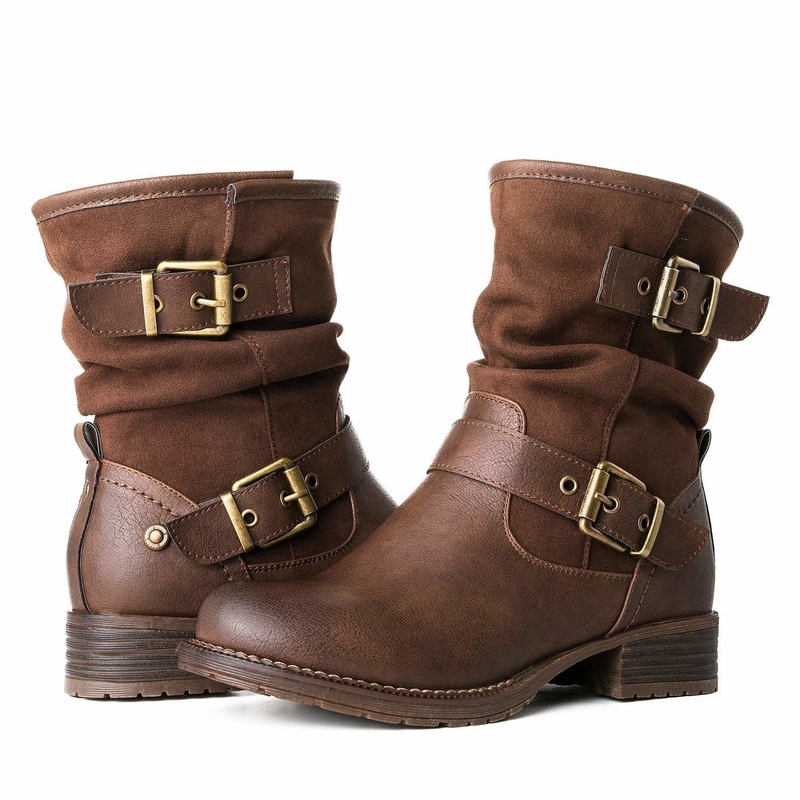 Get them from Express for $52.80 (available in sizes 00-18). 29. 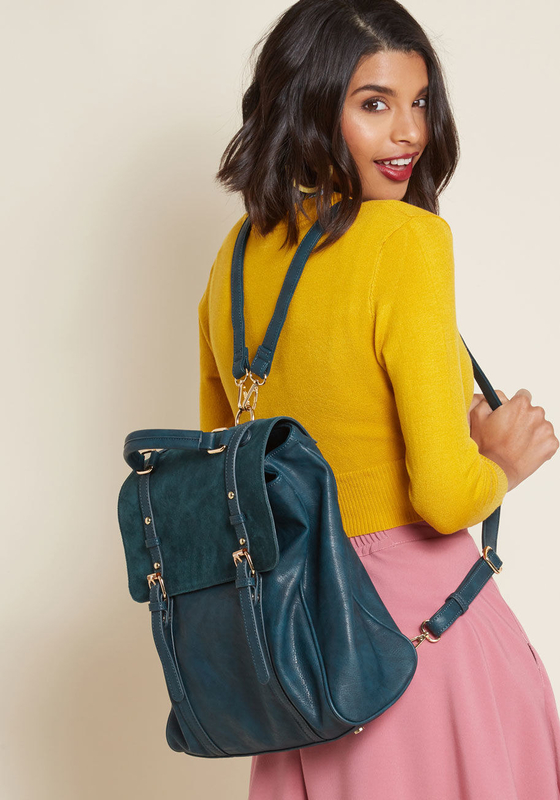 A rich teal convertible bag that can be carried as a handbag or a backpack and is big enough to fit a laptop. Fashion, meet function. 30. A pinstripe suspender skirt because something about September brings out the preppy side in all of us. 31. A strechy wrap dress glimmering with glitter to make the transition to autumn a little less bitter. 32. A sharp checked blazer with classy elbow patches sure to ~patch up~ any holes in your wardrobe. Because everyone needs a power suit. Get it for $134.40 (available in sizes XS-2XL) and the matching pants for $68.60 (available in sizes 4-20), both from Wildfang. 33. High-rise boyfriend jeans that you may fall more in love with than an actual boyfriend. Get them from Urban Outfitters for $69 (available in sizes 24-34). 34. A brooch-embellished beret sure to have all your friends oui-ping with envy. Get it from Forever 21 for 14.90. 35. 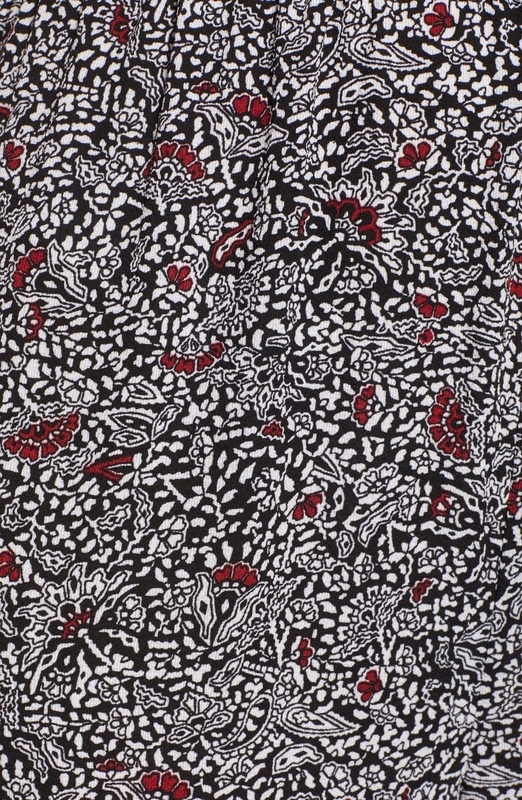 And finally, a splurgeworthy mixed-print dress that I'd trade all my summer dresses for in a heartbeat. Get it from Alice & Olivia for $595 (available in sizes 0-12).